Cleansing at its most luxurious. Impressively immaculate, nutrient-rich formulation designed to nurture flawless skin. 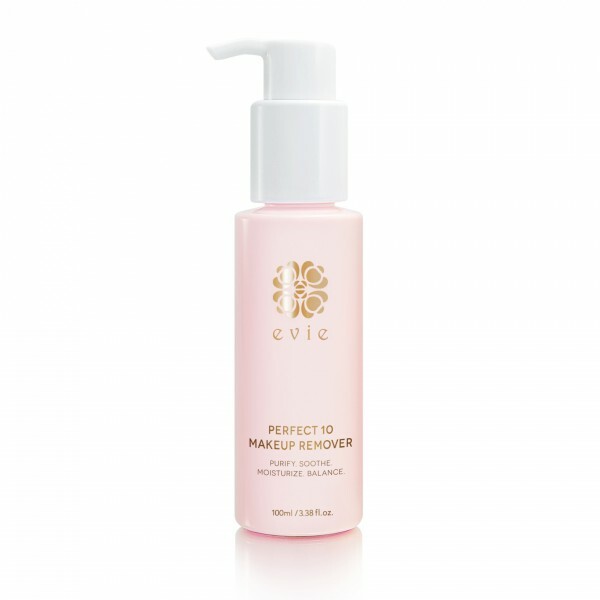 An ideal blend of 3 superior anti-oxidant plant oils including Jojoba, Sweet Almond and Grapeseed; and 7 exquisite skin-saving essential oils, namely Bulgarian Roses, Organic Bulgarian Lavender, Italian Bergamot, Geranium, Ylang Ylang, Chamomile and Moroccan Cedarwood to create the Perfect 10. Beautiful skin starts with cleansing. Since its debut, this exceptional makeup remover has been celebrities’ backstage must-have to ensure perfectly moisturized, luminously glowing skin. Just one step to gently and effectively lift up all makeup and impurities without removing the skin’s natural lipid barrier, leaving the skin silky soft and smooth. After a long day, indulge your skin and treat yourself to the spa relaxation of healing aromatherapy scents. Free from mineral oil, synthetic oils and skin-harming additives. Great for all skin types. Can also be used as cleansing oil. Begin with dry skin. Dispense 2-3 pumps onto cleansed dry palms. Apply on face and eye zone. Massage gently in outward circular motion until all makeup is removed. Repeat the above steps for heavy or stage makeup. Rinse well with warm water. For optimum results, follow with All-Star Cleansing Velvet.